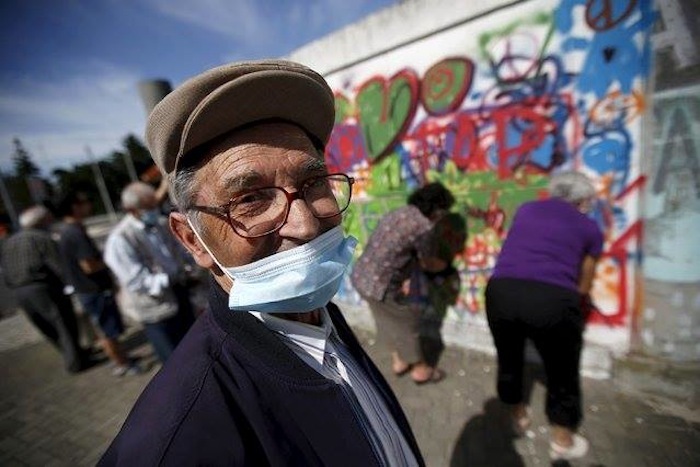 So you think your grandparents aren’t “street” enough? 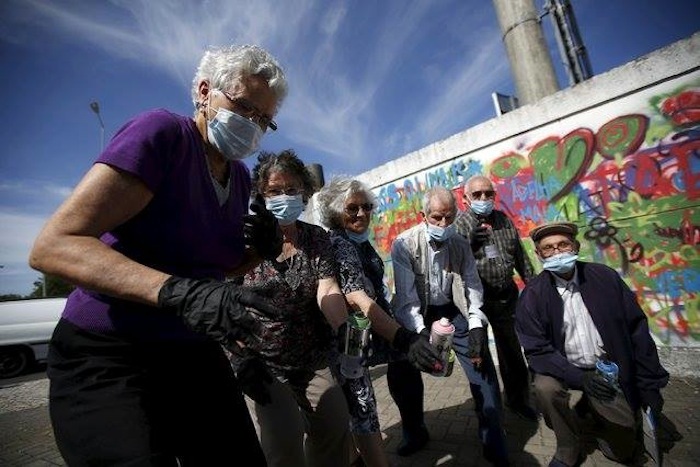 Too set in their ways to get down with the kids? 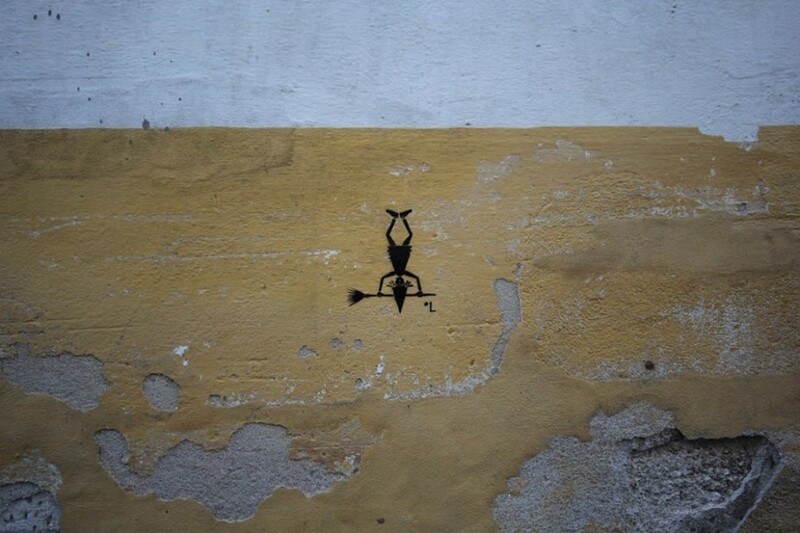 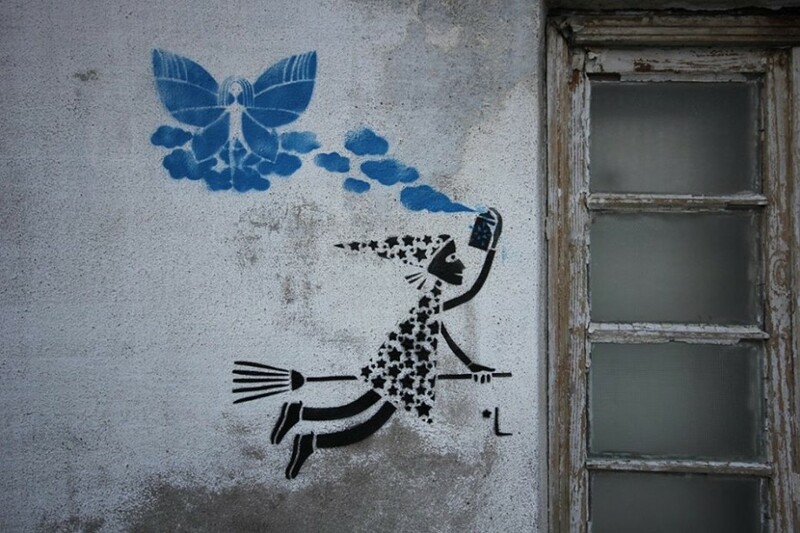 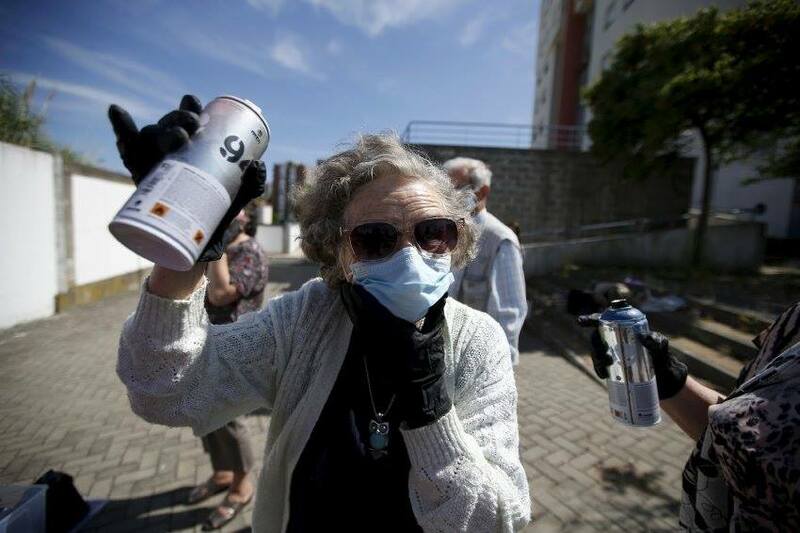 Meet the granny graffiti gang of Lisbon, Portugal, pioneered by an unusual initiative giving graffiti workshops to senior citizens. 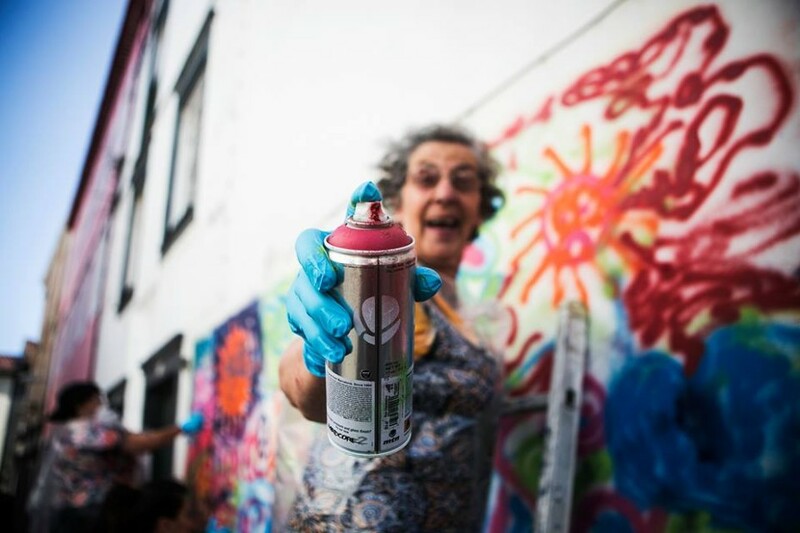 LATA 65 (lata means “can” in Portuguese) is an urban art workshop that teaches the basics of street art to the elderly in various neighborhoods around the city, and they’ve already introduced more than 100 senior citizens to the youth culture. 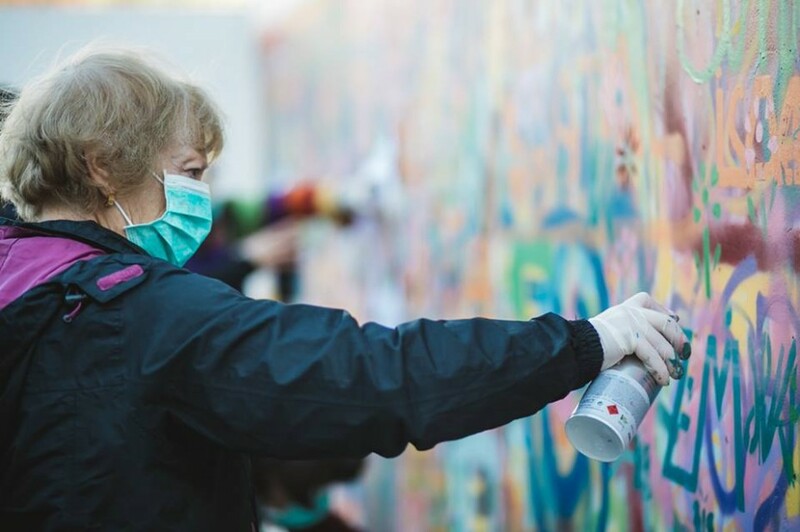 They’re making their own stencils and creating their own street tags that are popping up on murals across the city. 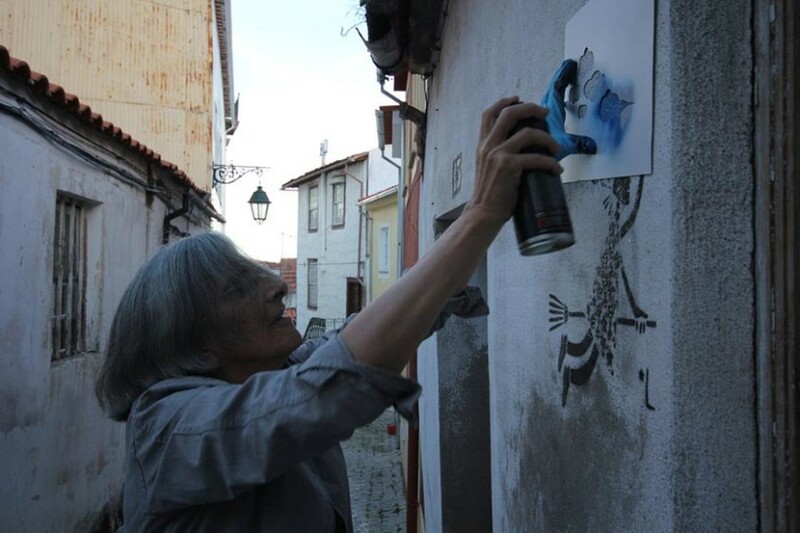 One member, Mrs. Luisa chose the tag “Armando”, a tribute to her late husband. 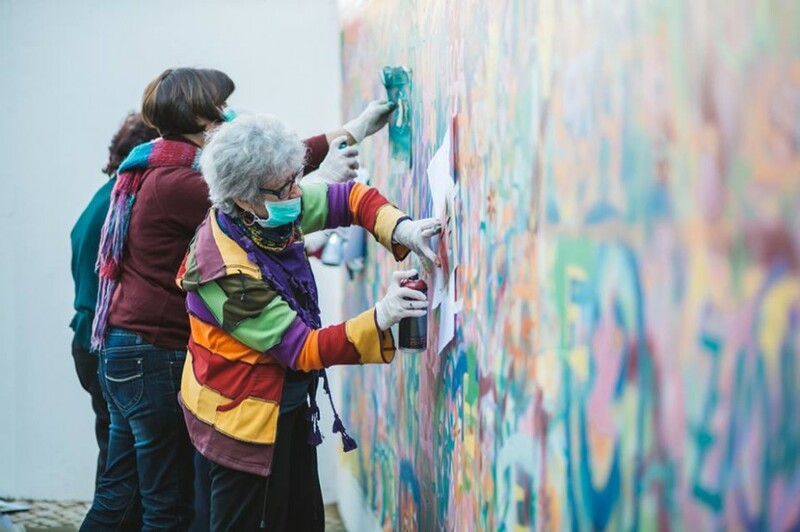 Together with well-known street artists as their guides, the gang of senior citizens are bringing bursts of vibrant colour to neglected and run-down neighborhoods. 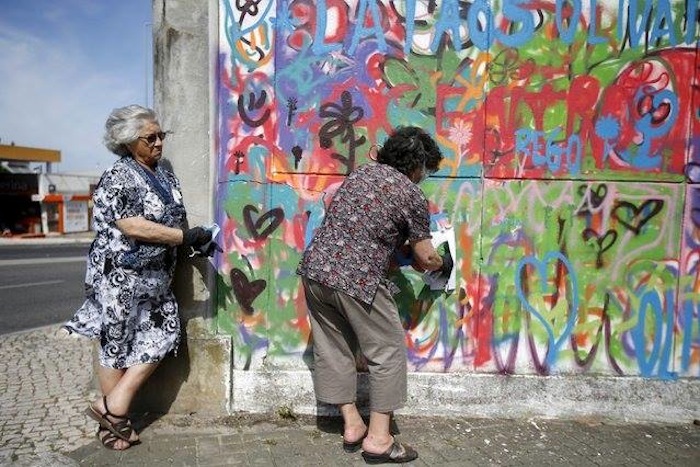 Lata 65 believes that by merely communicating and passing on the knowledge to our elderly, we can bridge the gap between generations and banish ageist stereotypes and clichés. 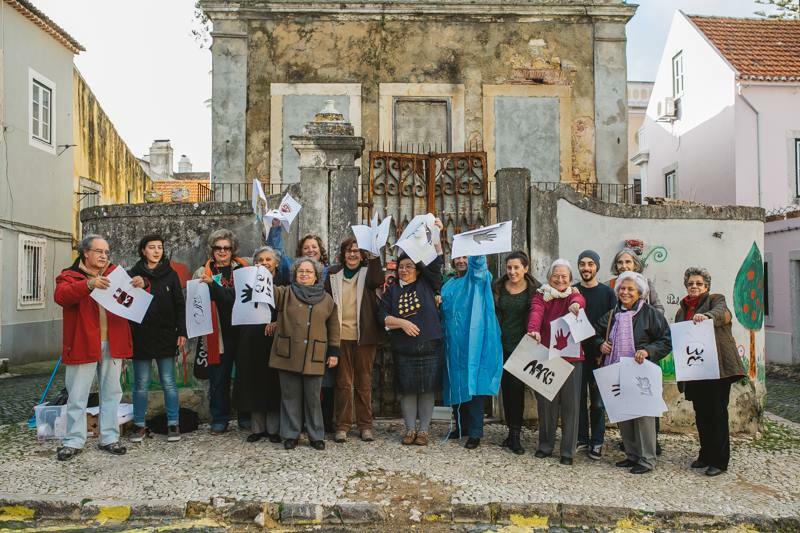 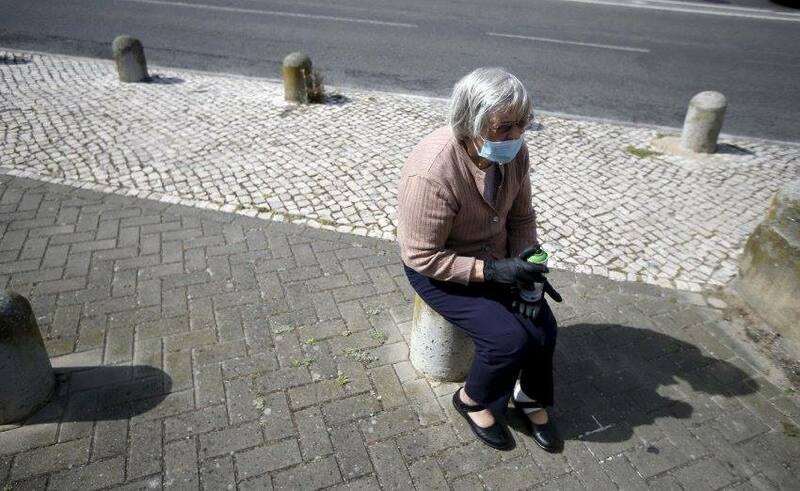 UK | LATA 65 is an initiative for the elderly within the urban art, in its genesis developed by Cowork Lisboa in partnership with Wool – Covilhã Urban Art Festival. 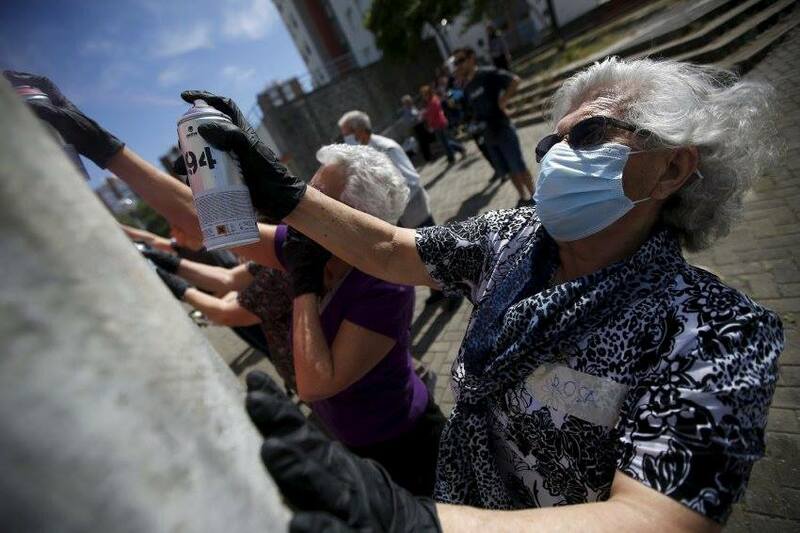 – to demonstrate that age is just a number. 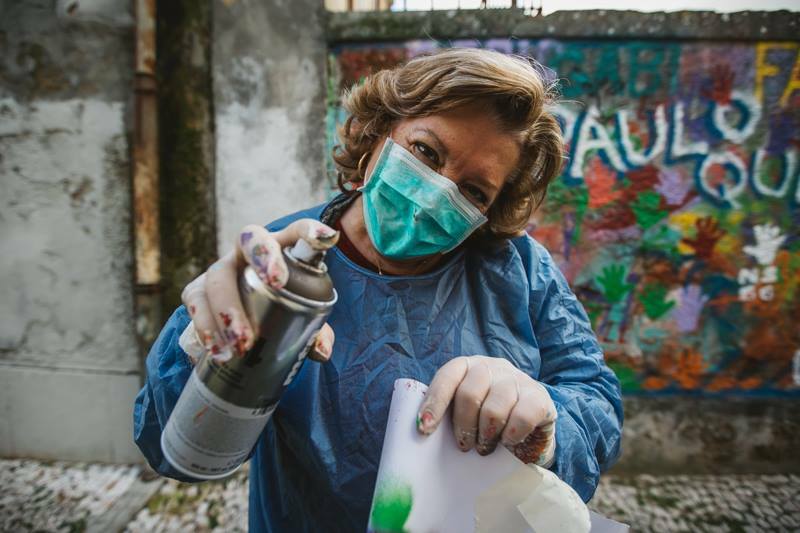 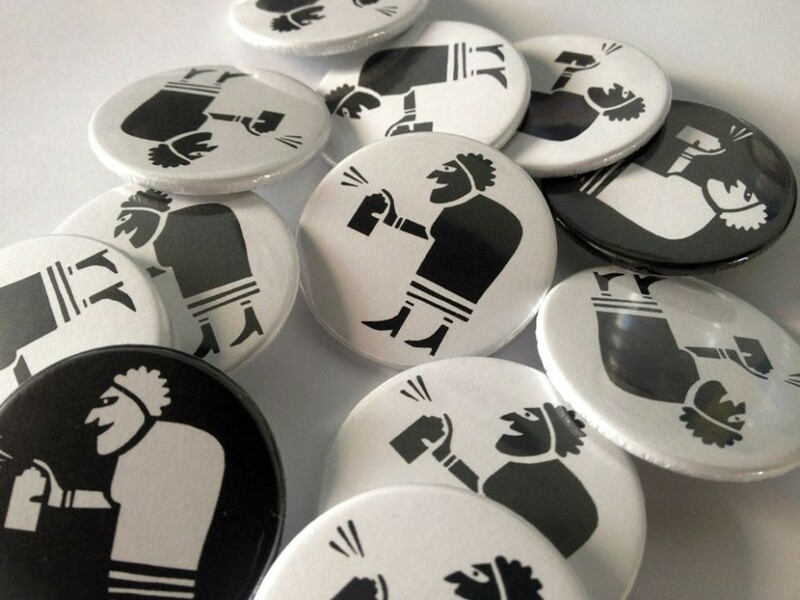 It is presented as a workshop taught in totally relaxed working environments, ideal for learning a variety of intervention techniques used in the streets and working directly with some of the best urban artists today. 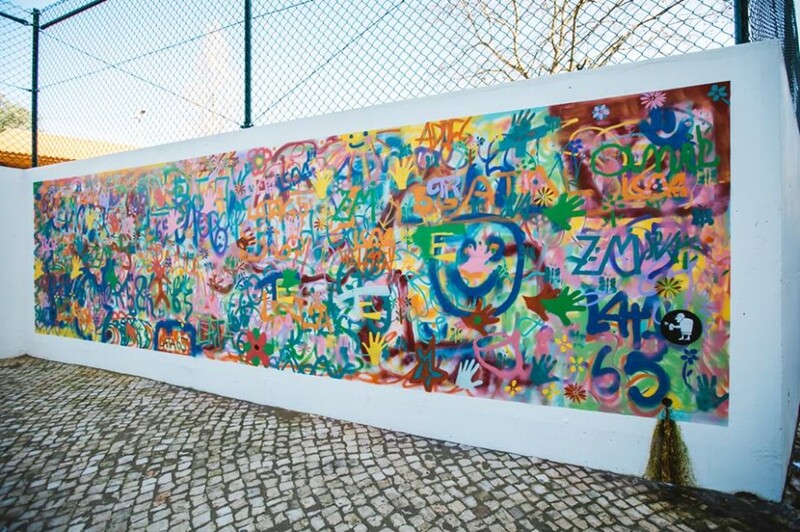 – it is desirable to present to these generations NEW ACTIVITIES, NEW TECHNIQUES associated with youth, as a way to escape and to break routines, GENERATING QUALITY, JOVIALITY and WELL-BEING in their lives.